SES-4 is equipped with solar panels and an FS 1300 satellite bus. 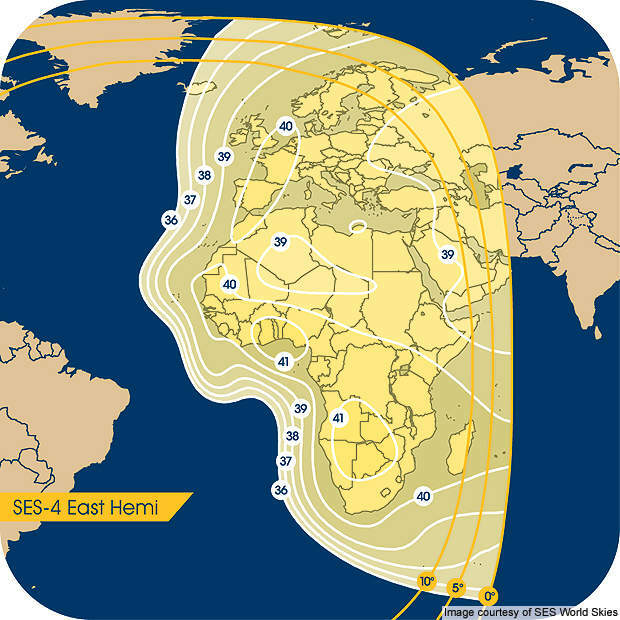 SES-4 is a telecommunication satellite principally used to provide high-power direct-to-home (DTH) and fixed satellite services to the Americas, Europe, Africa and the Middle East regions. The satellite will be positioned over the Atlantic Ocean at 338°E, allowing the currently existing NSS-7 to move to a different orbital location. SES-4 is part of the SES fleet and was launched into geostationary orbit in February 2012. "SES-4 is a telecommunication satellite principally used to provide high-power direct-to-home (DTH) and fixed satellite services." The satellite was launched through Loral’s FS-1300 satellite bus platform on the piggyback of an ILS Proton-M/Briz-M rocket from the Baikonurur Cosmodrome site 200/39, Kazakhstan. The hybrid satellite power network serves thousands of very small aperture terminals (VSATs) by transmitting high-quality video signals. In February 2008, SES World Skies awarded a contract to Space Systems to build a new spacecraft called NSS-14 to improve the fixed satellite services of SES customers. 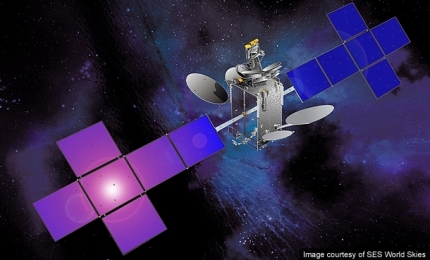 It is the second satellite contract awarded by SES to Space Systems / Loral (SS/L). 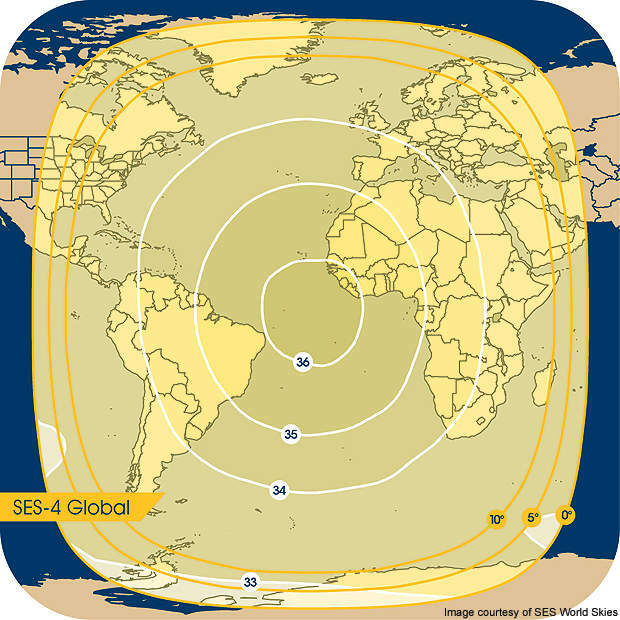 In early 2010 the NSS-14 was redesignated SES-4 by SES World Skies. 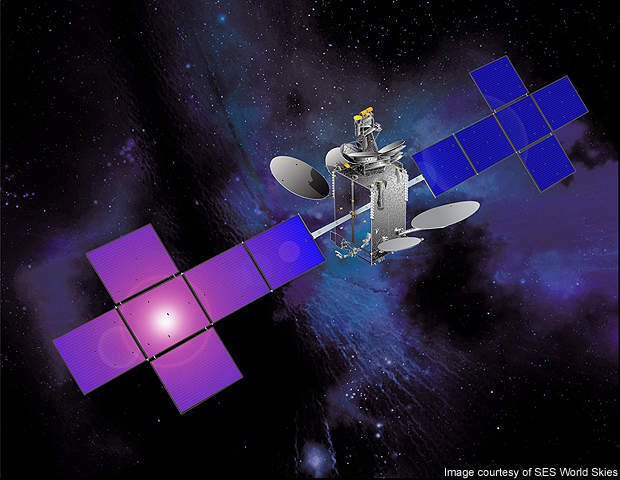 The SES-4 was designed and manufactured by SSL, a subsidiary of Loral Space & Communications, US. With a lifespan of 15 years, the satellite weighed around 6,180kg at launch and consumed 5kW of satellite power. It was fitted with an ion propulsion system to produce the on-board transmitter power of 5,000RF watts. APSTAR 7 is a geostationary communication satellite built for commercial purposes. Six solar panels per array were fitted to the satellite to provide power in case of a systems failure. The polarisations of C band and Ku band are circular and linear respectively. The uplink frequency of the C-band varies between 5,850MHz and 6,425MHz, while downlink frequency ranges from 3,625MHz to 4,200MHz. The uplink frequency of the Ku band is 13.75GHz to 14.5GHz. SES-4 is a digital channel transponder satellite that offers communication capacity, connectivity and flexibility. 52 C-band and 72 Ku-band transponders of 36MHz capacity are installed in the satellite. The C-band will provide telephone, cable distribution and corporate network services to the eastern hemisphere of Europe / Africa and America. 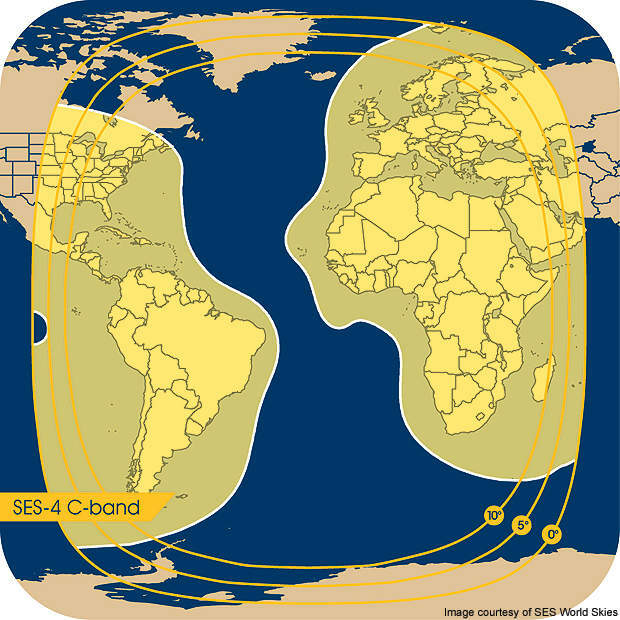 Four Ku-band beams are cross strapped to four C-band beams to improve connectivity and render service capability to the Europe or Middle East, West Africa, North America and South America regions. Manufactured by Space Systems/Loral, the FS 1300 is a fully redundant and efficient satellite bus primarily used for geostationary communications. The satellite bus was first introduced in 1980. It can conciliate as many as 12 to 150 active transponders. "SES-4 was launched into geostationary orbit in February 2012." 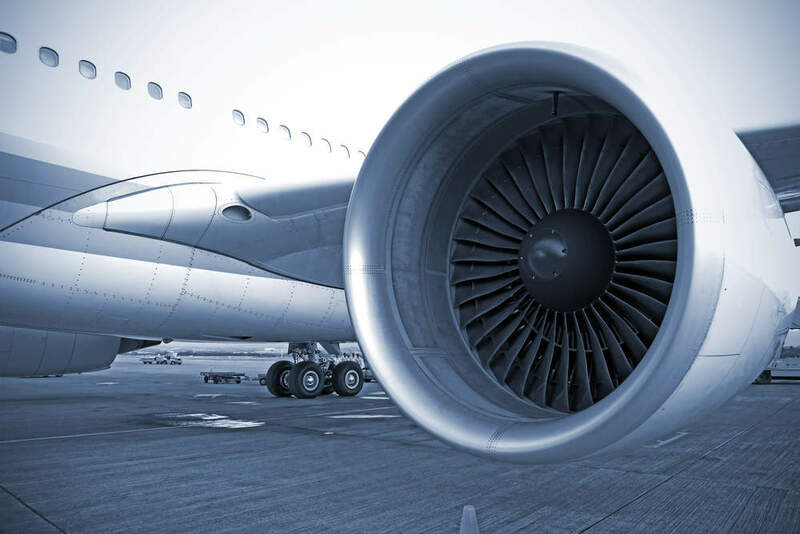 The FS-1300 is a weightless and strong structure equipped with fuel-efficient attitude and station-keeping subsystems, reliable solar arrays and batteries, and state-of-the-art command and control subsystems. The SES-4 was launched atop International Launch Service’s (ILS) Proton Briz M launch vehicle. The vehicle was powered by R-4D, 4 SPT-100 plasma thrusters propulsion system. The name of the launch vehicle has been derived from the Proton rocket and Briz M booster stage manufactured by Khrunichev State Research and Production Space Centre in Russia. The satellite was launched from the Baikonur cosmodrome in Kazakhstan. 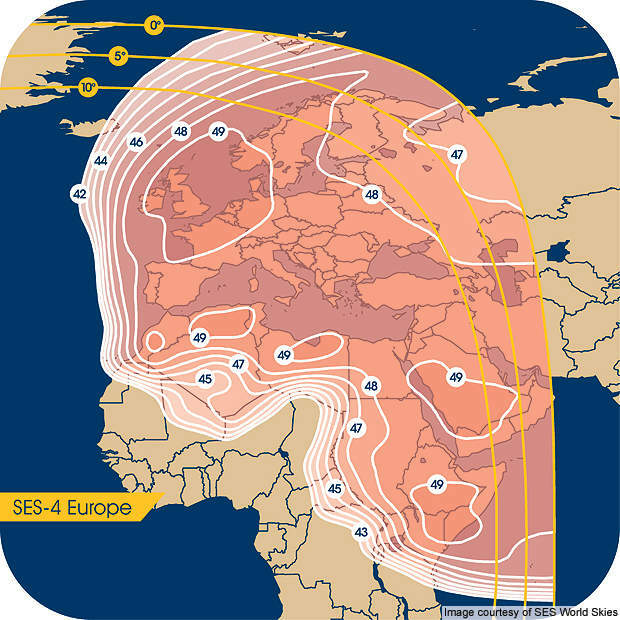 The SES-4 can be controlled by five operational centres in Europe, West Africa, the Middle East, North America and South America using ground equipment hardware and software. The ground control station is built by SS/L and deployed at international customer sites. The ground station is equipped with a telemetry tracking and command (TT&C) system to track and control the satellite when deviating from its orbit. Communication between the satellite and ground station takes place through the bandwidth allocated to the service provider. The ASTRA 2F communication satellite will support direct-to-home (DTH) and next-generation broadband services in Europe, Middle East, Africa and sub-Saharan Africa. GSAT-10 is the heaviest communication satellite designed and developed by Indian Space Research Organisation (ISRO). The Intelsat 21 (IS-21) communication satellite was successfully placed into the geosynchronous Earth orbit (GEO) in August 2012.